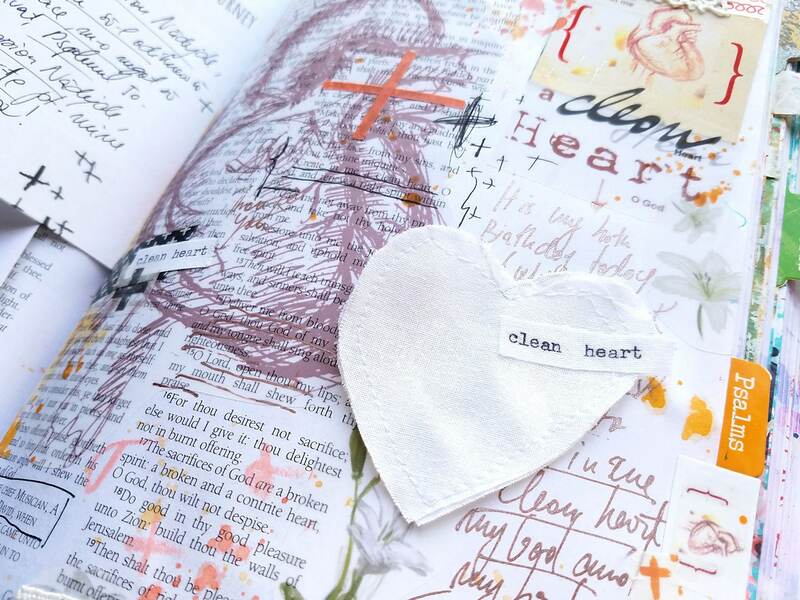 Psalm 51 is one of my favorite Psalms. 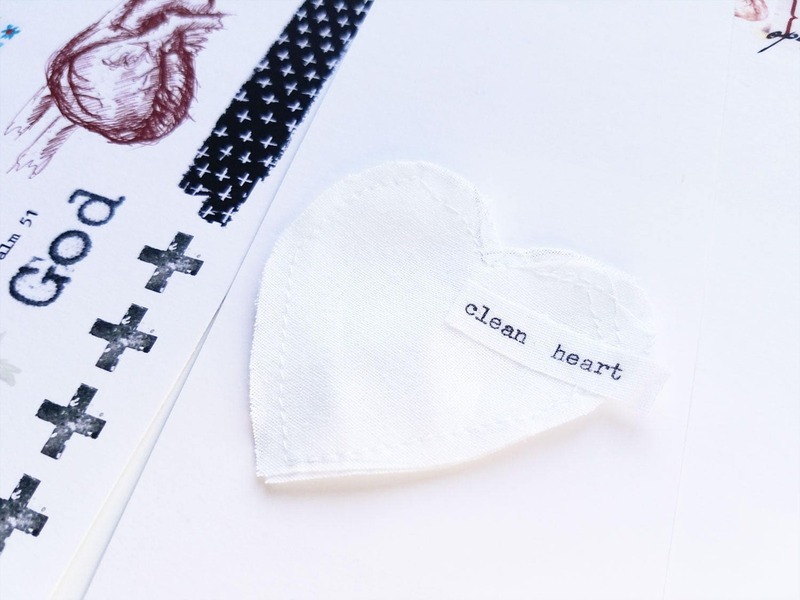 Such an honest to the core prayer, that can be meditated upon daily. 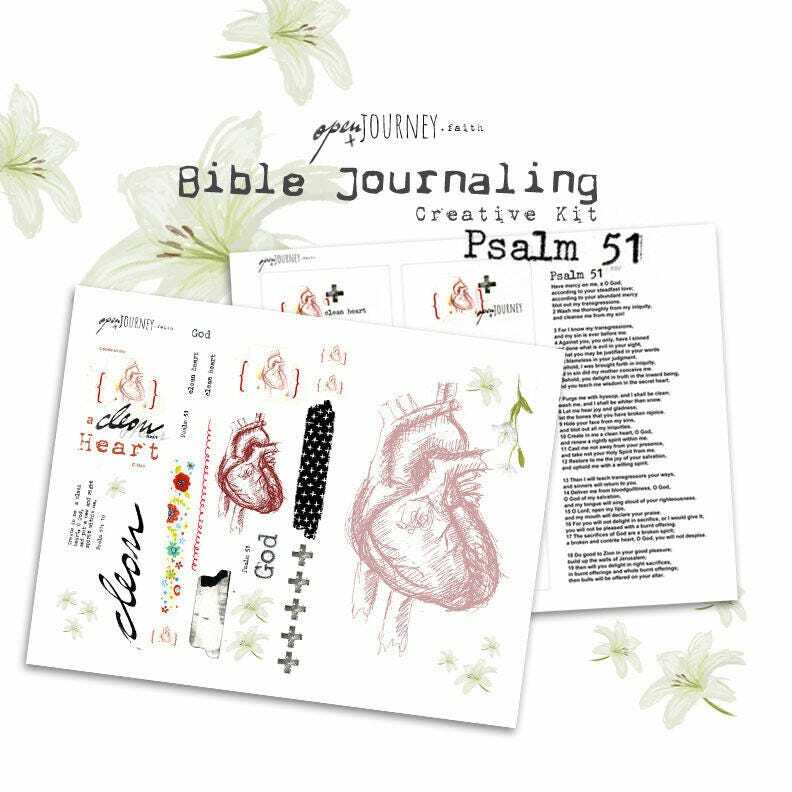 I put together this visual collection to go along with your bible journaling, to inspire and maybe help you stay longer with this psalm. 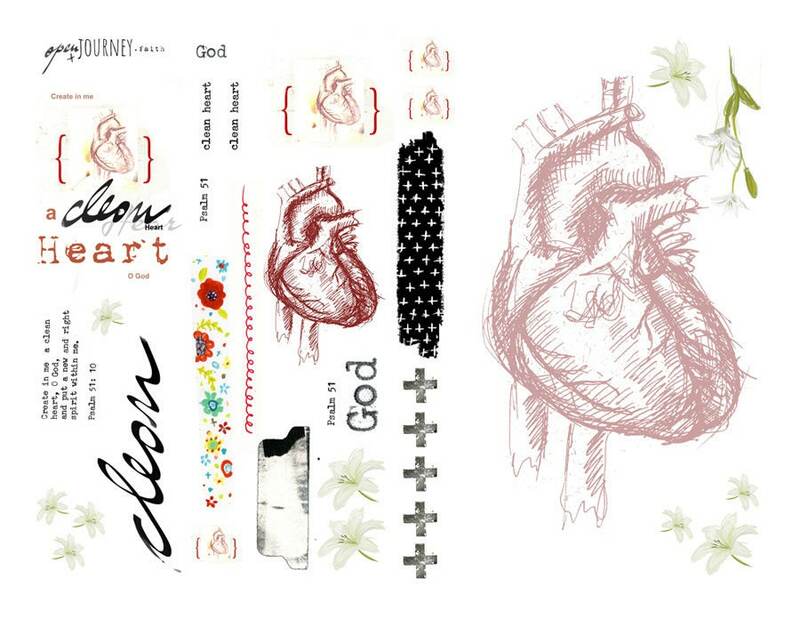 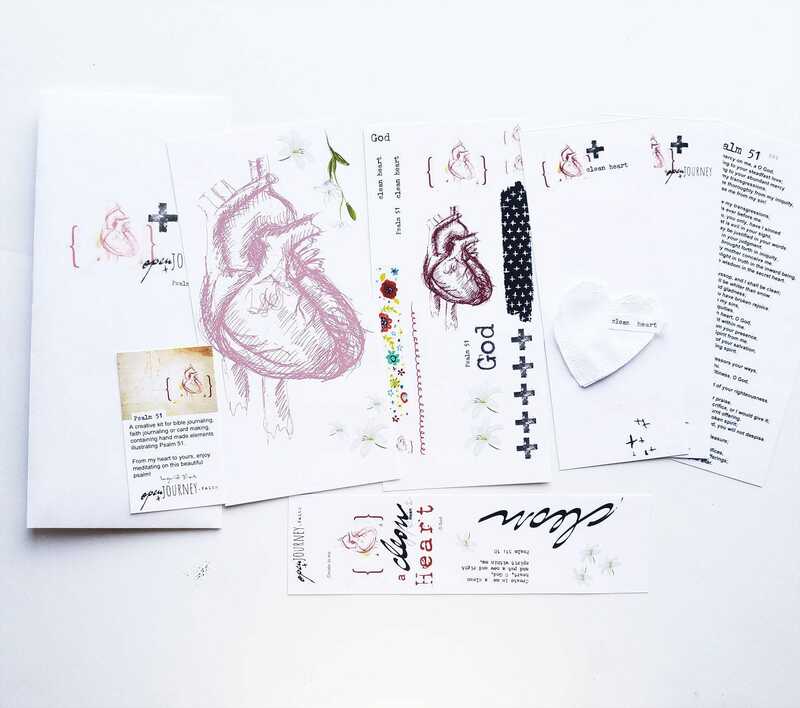 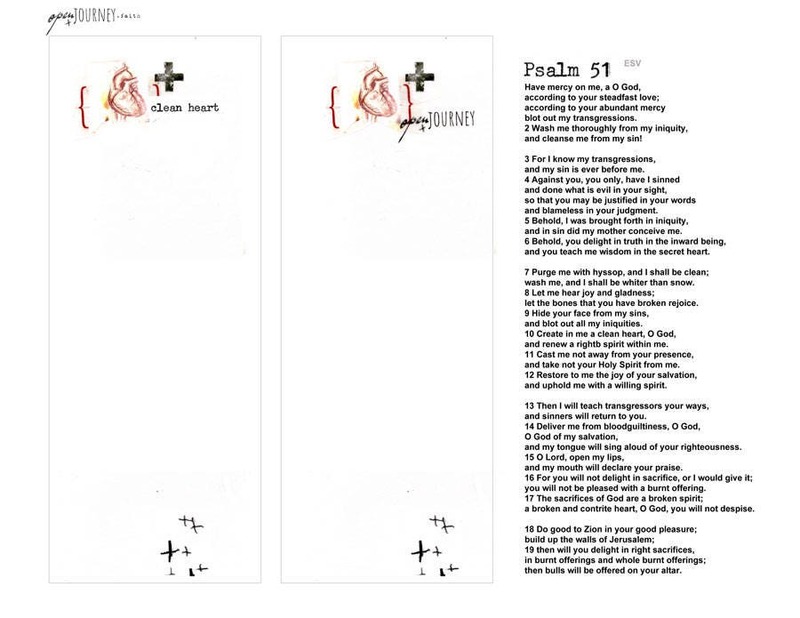 The set includes 3 panels of cut-and-paste graphics (two 4x8 and one 2x8), printed on transparent clear sticker paper to create transparent stickers which perfectly integrate on your page, two card stock 7.5x3 illustrated book marks/ journaling inserts, a 4x8 full text of Psalm 51 to be used as reference, prayer and insert (all these fit great in a traveler's journal) and a white fabric sewn heart with the words “clean heart” imprinted which can be used as a decorative element, bookmark or whatever great idea you might have. 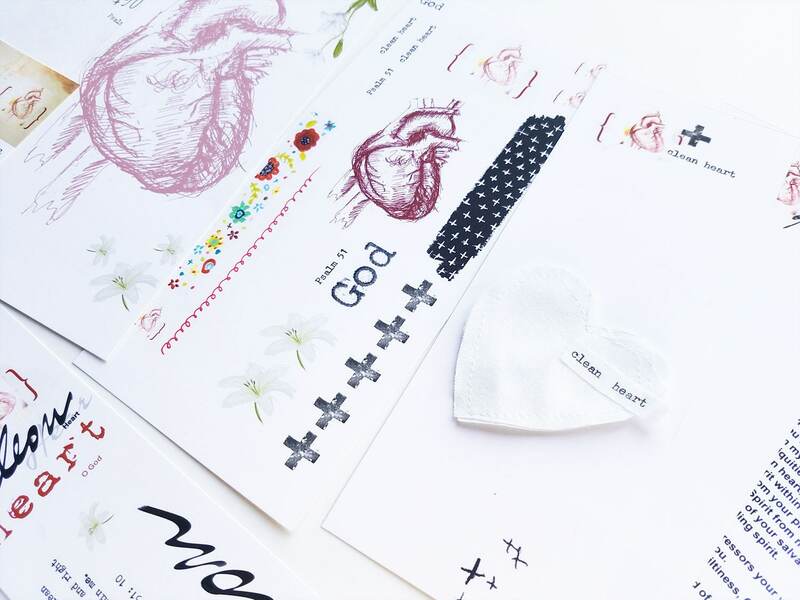 Everything comes enclosed in an beautiful illustrated envelope. 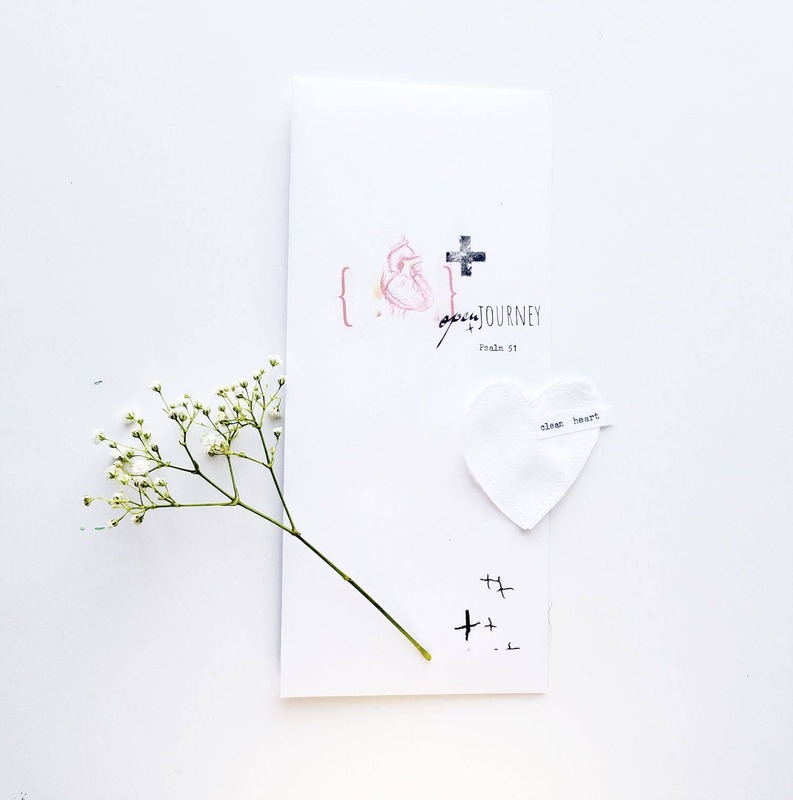 Beautifully packaged, this makes a great gift to self or for any milestone in someones life. 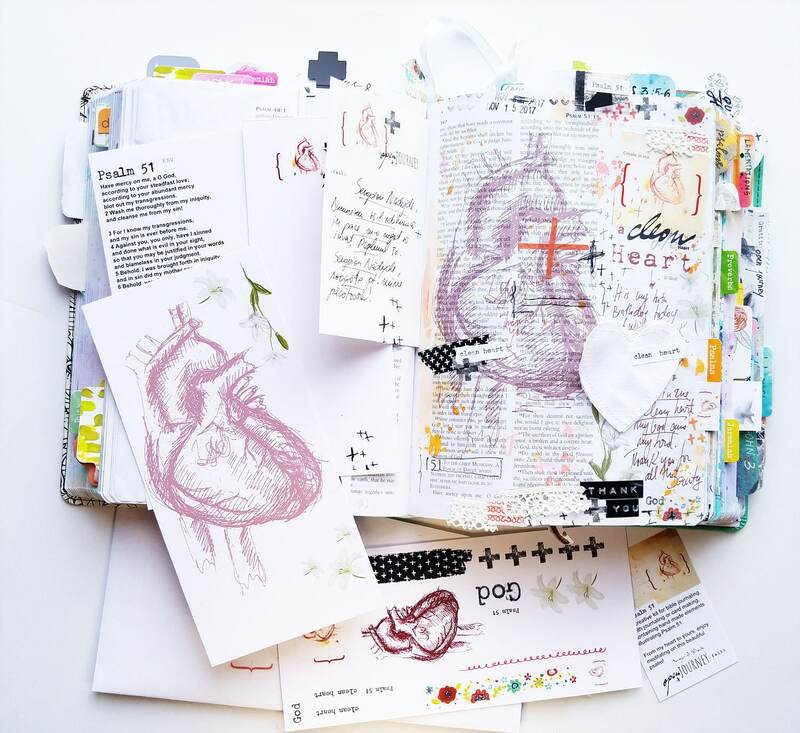 As an example, the last image shows the kit used in my journaling bible. 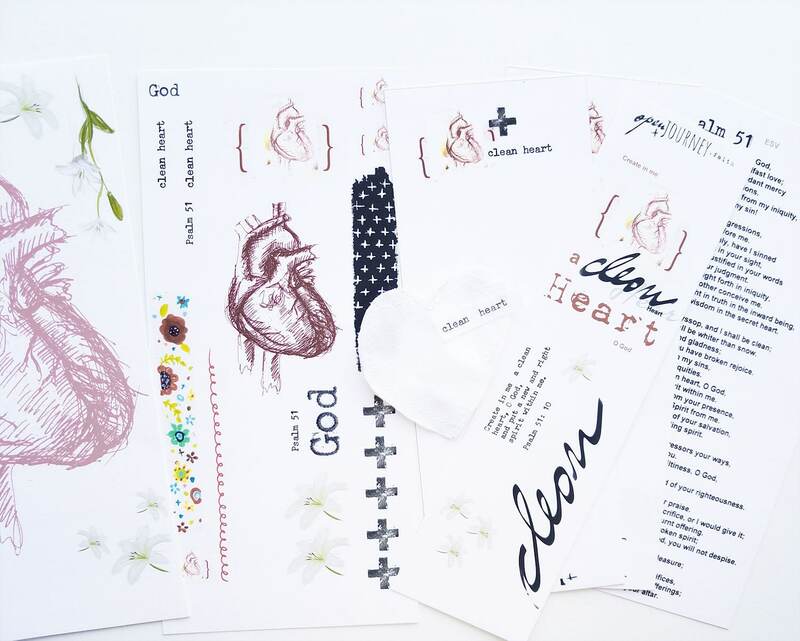 All elements are hand made and may vary from kit to kit.